A.L. Hess Hall under construction in 1946. 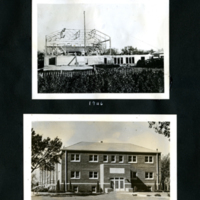 Also shown with the completed building as photographed in 1949. 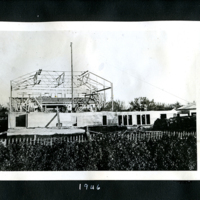 Beyler, Clayton, “Hess Hall under construction, 1946,” Hesston Public Library, accessed April 19, 2019, https://hesston.digitalsckls.info/item/1647.